Lesley Barth Reveals Delightful DIY Video “Oh, Andy!” – Ouch That Hertz! NEW YORK, NY – March 09, 2016 – Singer/songwriter Lesley Barth has cultivated an engaging signature blend of folk, pop, rock, and soul through her masterful use of rich vocal harmony and insightful lyrics. Having crowd-funded her first full-length album to the tune of $8,000 thanks to a tremendously loyal fan base, the charming artist is preparing to truly make a name for herself in the vast world of music. While hard at work on the upcoming project that’s due out this summer, Barth is looking to treat her fans with an incredibly down to earth release. Since arriving in New York nearly 5 years ago from her home city of Philadelphia, Lesley Barth has honed in on her signature blend of folk, pop, rock, and soul. A child of an opera singer and an actor, Lesley grew up playing the piano, singing, and wring music. She independently released her debut EP Good Like This in November 2015 and has been performing at top singer-songwriter venues, including Rockwood Music Hall, The Living Room, Pianos, Caffe Vivaldi, Bar 4, LIC Bar, and more. 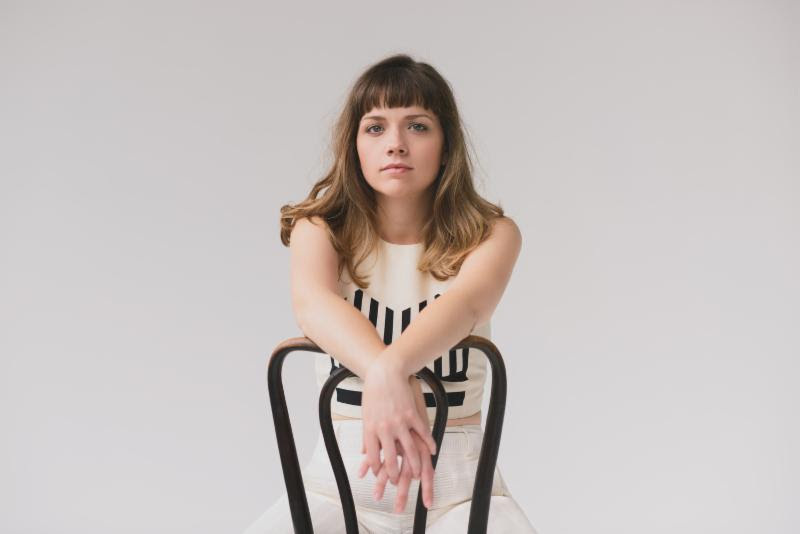 Popular NYC blog We Heart Astoria calls her music “enchanting,” and her honest songwriting and well-crafted lyrics recall the sounds of the sixties and seventies, echoing bands like Camera Obscura or Belle and Sebastian. Influences from Carole King, Cat Stevens, Fleetwood Mac, Carly Simon, and Motown inform the melodic, piano-driven tunes thick with vocal harmony, and Barth’s wide range and soulful, strong voice frequently draw comparisons to Sharon Van Etten, Christine McVie, Linda Ronstadt, and Natalie Merchant. Having successfully completed a crowd-funding campaign as part of OvationTV and Rockethub’s first ever Creative Studio, Lesley is returning to Brooklyn’s Mission Sound to record her first full-length album in early 2016. Fans of rich vocal harmony, insightful lyrics that cut you to the core, and that magical folk/pop/rock/soul blend found in the music of the late sixties and seventies should take note.